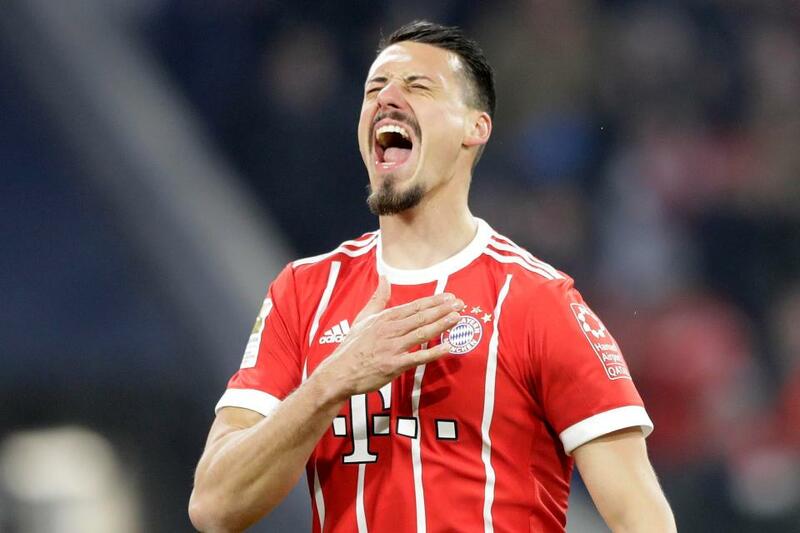 Bayern striker Sandro Wagner, 30, has retired from his international career after being left out for Germany’s World Cup squad. Wagner announced his decision in an interview with German newspaper Bild on Thursday. “I hereby retire from the national team with immediate effect. It is obvious that my way of being open, honest and straightforward doesn’t fit with the coaching team,” the striker said in the interview. Wagner made his debut for the national team in June 2017 and provided ever since five goals in eight international appearances and lifted the 2017 FIFA Confederations Cup in Russia. “I would be lying if I said I’m not disappointed. Making it to the World Cup would have been great. But at least my children are very happy that I can spend a lot of time with them over the summer,” Wagner added. On Tuesday, Germany coach Joachim Loew revealed his provisional 27-man squad and named Freiburg’s Nils Petersen and Stuttgart’s Mario Gomez for the striking position. “The decision is never against a particular player, but for the overall success of the team,” Loew said after the presentation of the World Cup squad. The FIFA World champions clash with Mexico for their first group game of the 2018 FIFA World Cup in Russia on June 17. Sandro Wagner can now fully focus on his youth club Bayern Munich where he returned in January 2018 after spells at Werder Bremen, Hertha Berlin, Darmstadt and Hoffenheim. The striker made overall 173 appearances in Germany’s top flight and scored 44 goals. Bayern Munich clinched the Bundesliga title for the sixth straight time. The record champions have the chance to round off the season with the domestic double as Jupp Heynckes’ men encounter Eintracht Frankfurt at the German Cup final on Saturday.